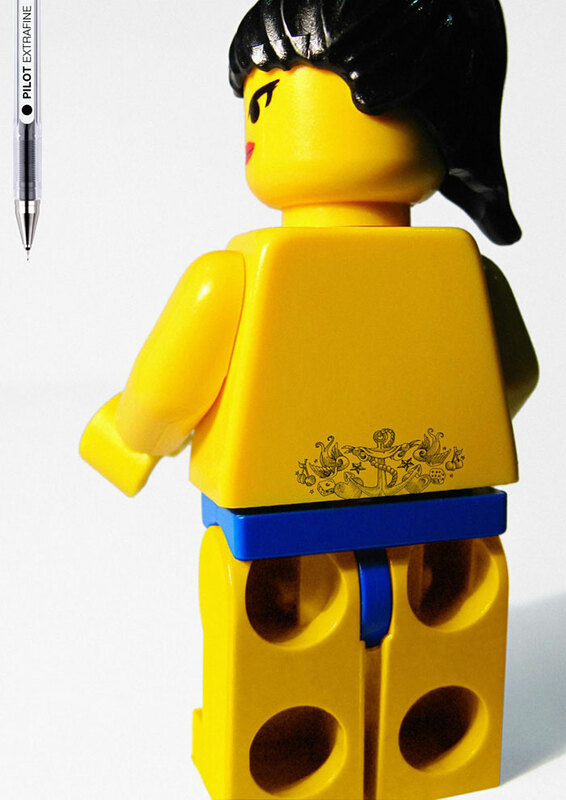 A few years back Pilot advertised its line of extrafine pens in a particularly clever way. 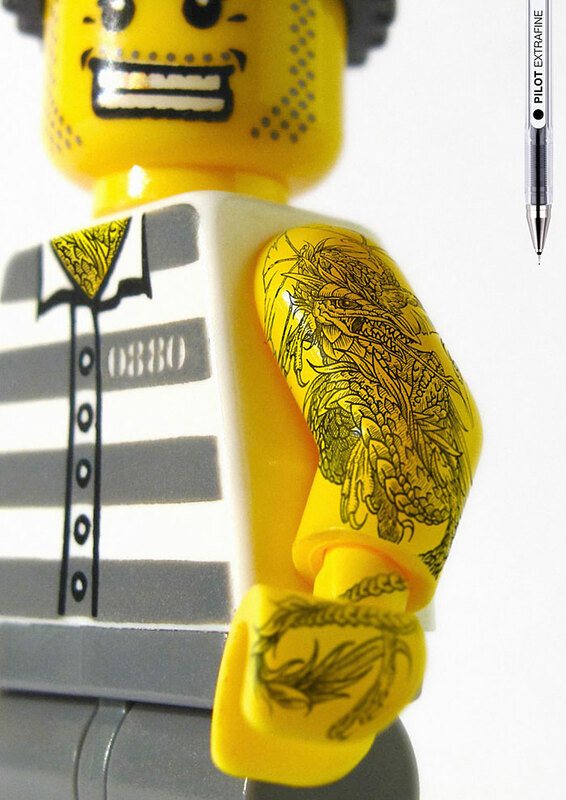 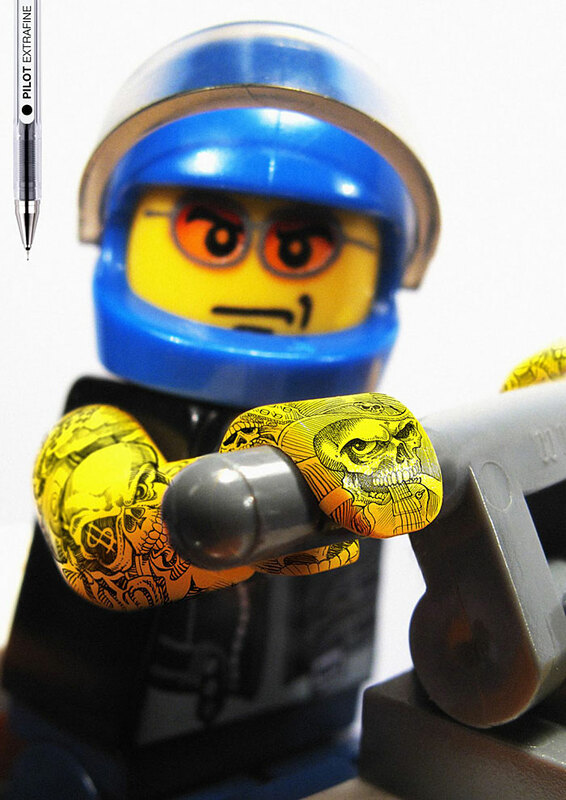 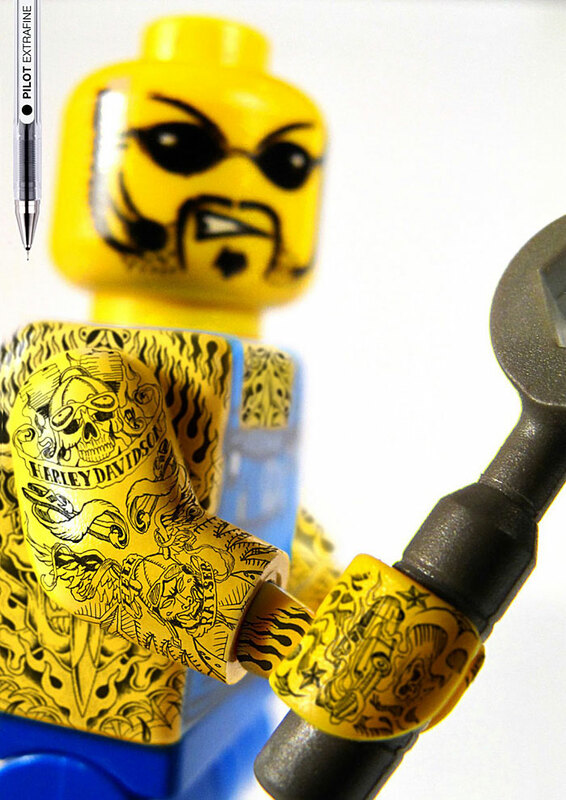 The campaign, by Barcelona advertising agency Grey, featured Lego mini-figures with highly detailed tattoos. 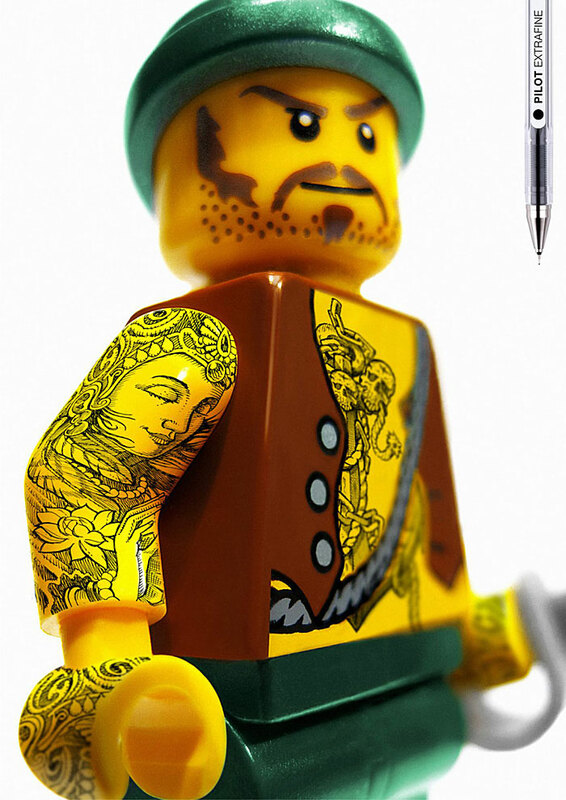 Really clever. 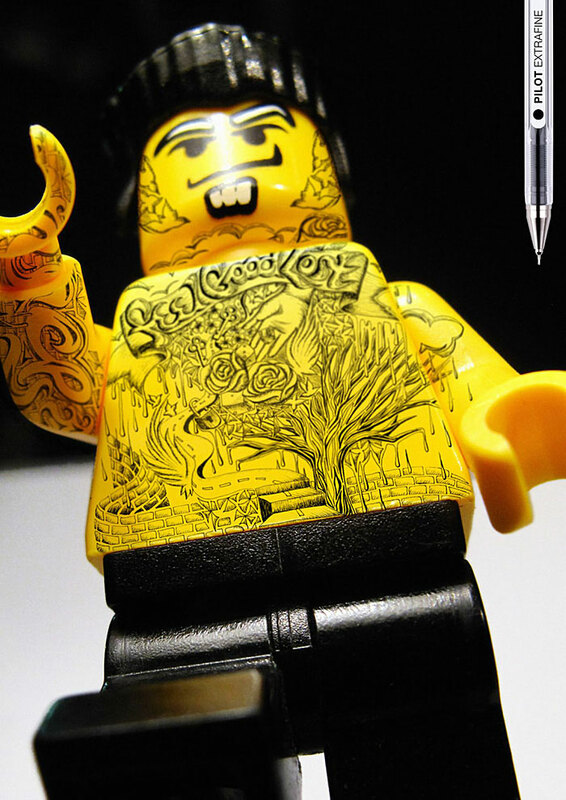 We love all things Lego (here and here and here)… this campaign definitely gets a thumbs-up from us!